Pennsylvania’s first 2018 case of West Nile Virus has been reported, according to a release Friday evening from the Pennsylvania Department of Environmental Protect (DEP). The good news for Philadelphia residents: it was reported in an Allegheny County resident. It's also still a "probable" case; samples are being sent to the Centers for Disease Control and Prevention for "confirmatory testing." The DEP, of course, recommends minimizing exposure to mosquitoes. 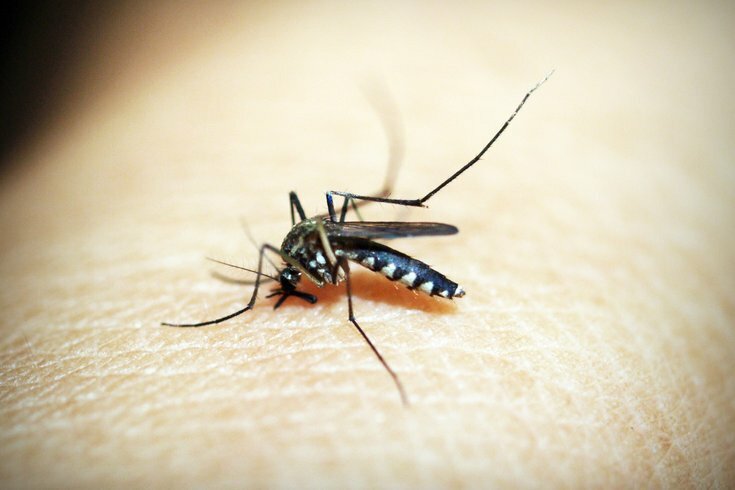 Eastern Pennsylvania has been proactive with mosquito spraying in recent weeks, including spraying in Upper Roxborough and Chestnut Hill on July 16, and Whitemarsh and Plymouth on July 20. Last year, the first case of West Nile Virus in Pa. was traced to a Montgomery County resident in August. The DEP says mosquitoes that transmit West Nile Virus are most active in the evening, and they breed in areas with standing and stagnant water, like catch basins, clogged gutters, poorly maintained swimming pools, and flower pots. The DEP will continue to monitor mosquitoes throughout the state until October. Problem areas will be sprayed to reduce mosquito populations when needed, according to the DEP.